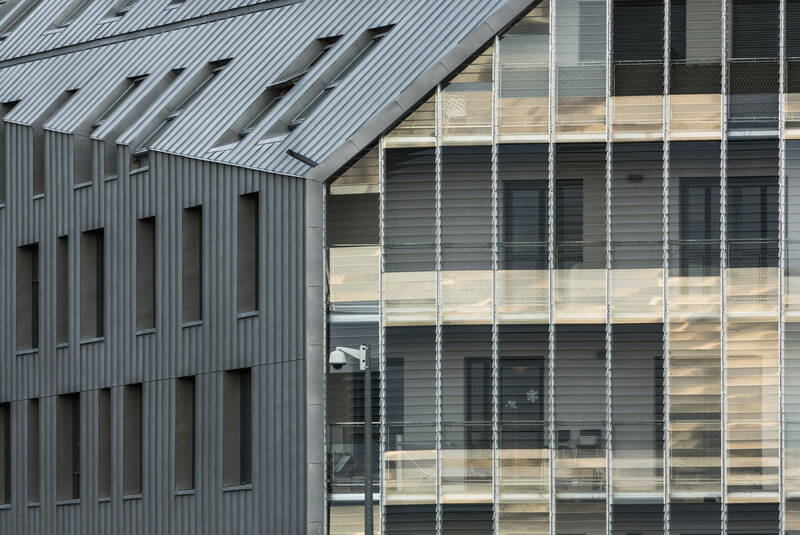 The Ilot Casanova building in Chartres is the first emblematic development forming part of the Pôle Gare scheme. Featuring 75 flats as well as offices and services, the building combines mixed use with energy efficiency. The flats are in four adjacent “town houses” with direct access to a shared garden; the offices and services overlook the street and gardens at ground floor level. With its easily identifiable outline inspired by the mediaeval buildings in the historic centre, the building’s pre-patinated zinc skin folds like an origami figure, extending down from the roof to form the façade. The double-skin façade on the street side has loggias set into it and lights up in the evening, making the building into an illuminated landmark.